My daughter loves this scarf. She uses it everyday during the winter. It is soft and no problem washing and drying in the dryer. The price is good for a kid to wear. I was hoping it comes in more different colors. 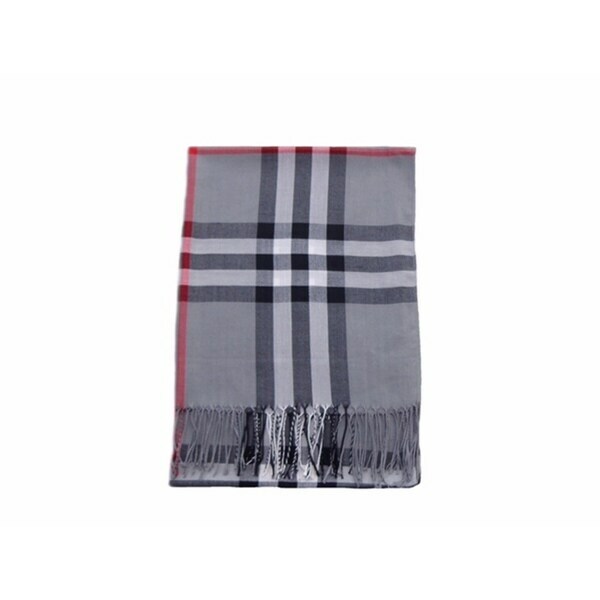 Get a fun, functional accent piece with this plaid scarf. Made from durable polyester material, this scarf sports fringed edges and is sure to keep you warm all winter. Fashion color plaid scarves - Size: 55 "x 55"